Rounded is very carefull in choosing its tempered glasses, therefore we can guarantee the quality of the hardness of the glass. The "Tempered glass" ensures that your screen will not just break on falling, bumping or other impacts. The product consists of an ultra thin protection layer of extra tempered glass. This glass is very powerfull. You can compare this glass with glass you can walk over, but than with only a thickness of 0,3mm. This "Tempered glass" is easy to apply without bubbles due to the hardness of the glass. We deliver 2 cleaning tissues which are very usefull. Use the Anti-shock Tempered Glass. for optimal protection of your touchscreen. It protects your device against scratches, bumps and falling, this ensures a longer life of your display. 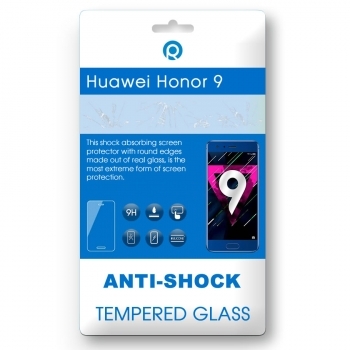 This Anti-shock Tempered Glass is made of real glass that has been hardened in a special way. It is only 0.3mm thin and has no negative impact on your touch screen. The Anti-shock Tempered Glass has rounded edges. Because of this the Anti-shock Tempered glass is barely noticeable and does not interfere during use. You can easily stick the Anti-shock Tempered Glass without bubbles. Just put the Anti-shock Tempered Glass right on the device and push it from the middle, starting at the speaker, from top to bottom on the screen. After this the product will stick itself onto the screen. 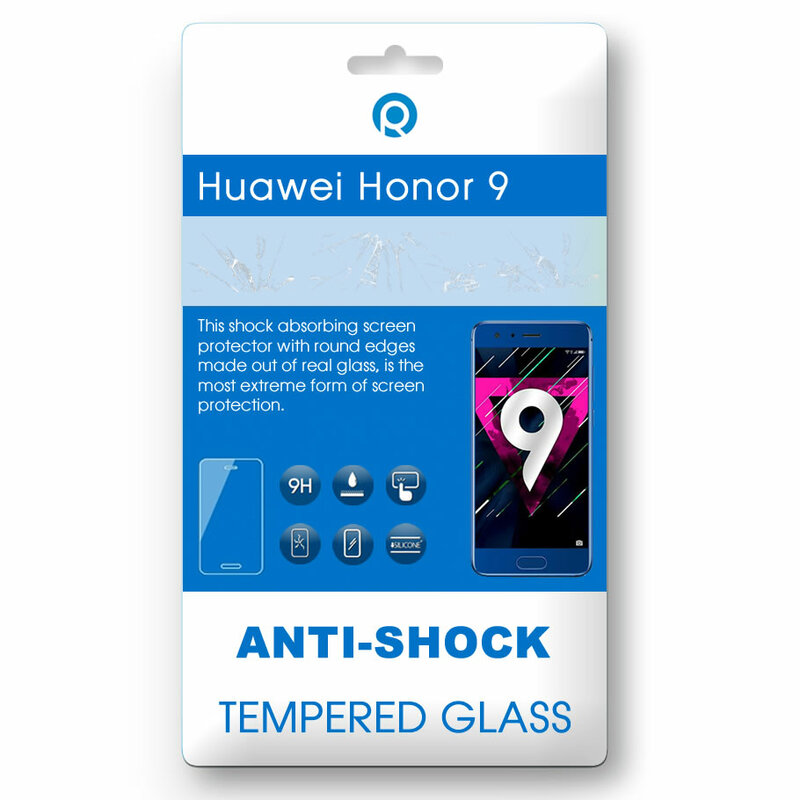 Question or inquiry for Huawei Honor 9 Tempered glass?